The headstone, erected over the grave, commemorates Reverend Robert Taylor who was the Presbyterian Church minister in Smeaton for 21 years. Reverend Smeaton died in 1895 from injuries received from a fall from a buggy. Minister of the Presbyterian Charge of Smeaton & Mt. Prospect for 21 years. 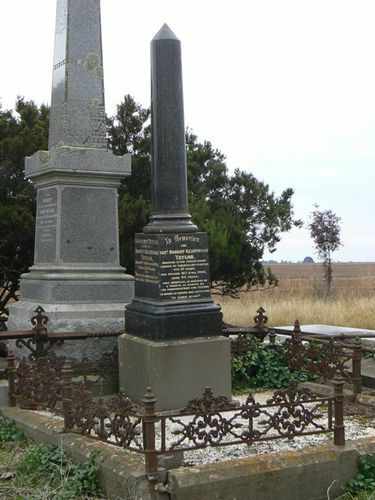 This memorial is erected as a tribute of honour by the congregations and friends. "He Spoke Of Heaven And Led The Way"